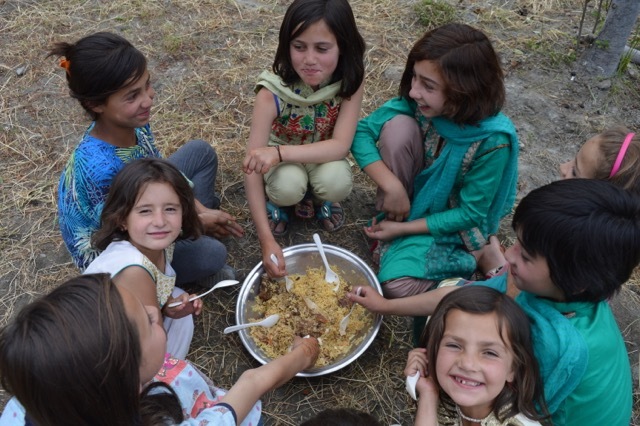 With Ramadan just around the corner, we wanted to share details of what daily life is like in the Gilgit-Baltistan area during the holy month. Life goes on as usual, but with an added sense of inspiration and community. "As subsistance-based farming communities that are based at high altitude, men and women cannot take too much of a break during Ramadan. Even during the heat of the summer, they will be working hard in the sun while fasting. Children still attend school and help with chores at home and in the fields. Pregnant women still fast and work in the fields. Iftar is shared at the mosque every night by the men and children. The women break fast at home together. Girls usually stop going to the mosque around the age of 9 when they begin to fast. Boys tend to start fasting later, when they are closer to 15. During Eid, families go from home to home in the villages visiting their family members. Food made with local ingredients like barley, apricots, walnuts, and potatoes are prepared. Sweets, biscuits, tea, and soups are brought during the visits." - Ghulam Muhammad, MD Baltistan Region. With support from people like you, Iqra Fund's commitment to families in Gilgit-Baltistan remains strong. We hope you will strengthen this further by providing us with your Zakat contribution this year. All proceeds earmarked for Zakat will be used only for programming needs inside Iqra Fund classrooms and not for meeting administrative or overhead costs.